GMR worked collaboratively with Richard Ruddick Architecture to fully refurbish the interior and exterior of this residential property. The client, a local property investor and developer had a very clear objective. 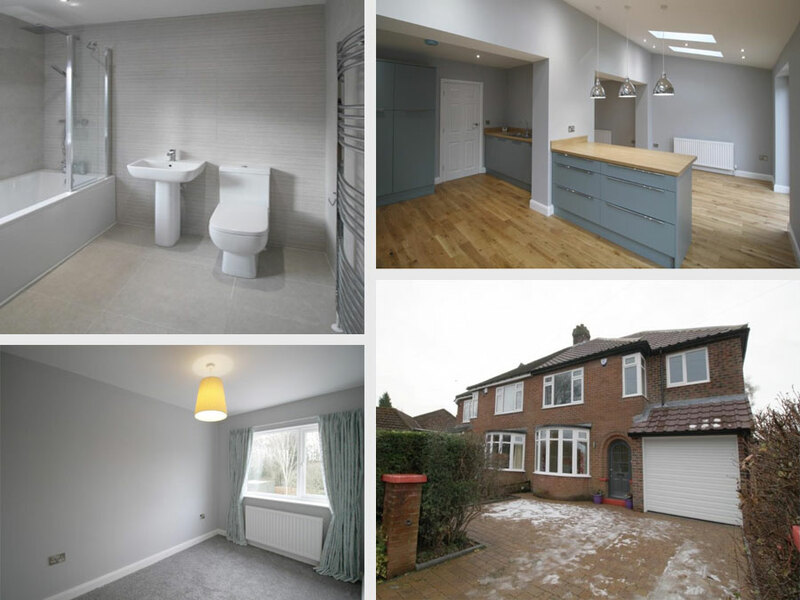 This was to create a functional space to a high specification suitable for resale or rental. GMR project managed the refurbishment ensuring the client’s vision was fully realised. The resulting property now has an extended and modern kitchen / dining room with Velux roof windows to create an open airy space. Every room is beautifully presented and has all the benefits of a brand new home but with the character of an older property. Further space is created with the addition of an extension over the garage making it perfect for larger families. Externally a new roof, windows, driveway and patio complete the package. This entire project was completed in just 16 weeks. If you own a property or are an investor looking to develop your property please contact us. We can work with your architect, or connect your with our trusted supplier to help you transform your property. GMR is a building company that provides a whole host of property services under one roof. Please call GMR Construction on 0191 267 7905.